Blue-footed Boobies are large seabirds that live on Pacific islands. What, were you thinking of something other than birds? 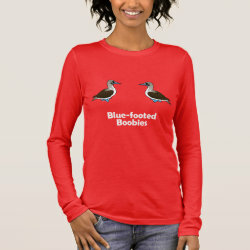 This is a cute, cheeky design for birders, especially if they've got Boobies - checked off their lifelist, of course!